The portable, wireless sensor system is able to record synchronously 5 different modalities, 19 channel signals at different sampling rates. New circuit design and algorithmic solutions enable to register high quality biomedical signals: transmission and reflection mode photoplethysmogram, electrocardiogram, electropneumogram, acceleration and temperature signals. 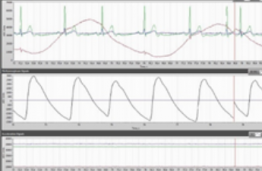 The computer software enables to extract and analyse various parameters: heart rate, breathing rate, blood pressure correlated parameter – pulse wave propagation time, and display them to the user. 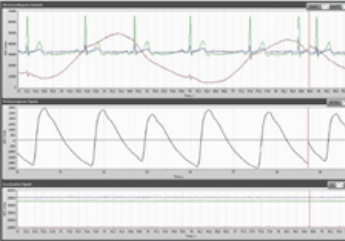 Original digital signal processing algorithms installed in the device allow to effectively deal with motion artefacts, and to acquire high-quality biosignal databases for scientific research.